The semi-finals took place in each of the three tournaments at the South African Indoor Hockey IPT 2019 in Pietermaritzburg this morning. The battles were intense with no match being decided by more than 2 goals. It was superb. Namibia were expected to comfortably beat Witsies, as they had already done in the group stages. But Bridget Kee, coach of the Witsies, presented a master class in tactical awareness and the young Wits side matched Namibia blow for blow in an epic. They trailed 1-0, 2-1 and 3-2 each time levelling the tie before Kaela Schimming eventually settled the tie for the Namibians. They will be playing North West after the Potchefstroom side overcame a tough test from the KZN Robins. Lize Steyn was the hero capitalising on a Robins error in the 30th minute to take the lead and they never let go after that. Arguably one of the best Indoor hockey IPT games in the time I have been following the sport was presented to an excited crowd. 8 times defending champions SPAR KZN Raiders were stunned by the intensity of the hosts and found themselves trailing 1-0, 2-1 and 3-2. They also were indebted to Cheree Greyvenstein who saved a penalty stroke. They levelled three times through Jess O’Connor, Kaz Bowyer and Kelly Reed. With just 3 minutes left on the clock they took the lead through Cindy Hack and managed to hang on until the final whistle. Southerns managed to set up a repeat of the 2018 final in a defensive masterclass, inspired by their keeper Petro Stoffberg they took their one golden chance through Cloe de Souza. The youngster has managed to score some big goals for Southerns in this tournament to the delight of Blake Goosen. The management of the game from the Southerns defence was greatly marshalled by Kara Botes and Alex Kavanagh as they held on for a 1-0 win. Western Province surprised some, but none more than the hosts as they changed up their game plan to emerge as finalists. Having brought a younger, fresher squad littered with Psi talent, Province have probably exceeded their expectations of the tournament. Having led 4-1 at half-time they consolidated with a solid second half keeping the hosts at bay. For coach Ross Willis it was a superb result in his first IPT as a coach. The shockwaves were felt in the second semi-final as Namibia trailed to a superb Lungani Gabela goal but soaked up the pressure and made some superb last ditch saves from Liam Hermanus on the line. The Raiders tried to see down the clock, but Brynn Cleak stole in to net an equaliser right at the end. 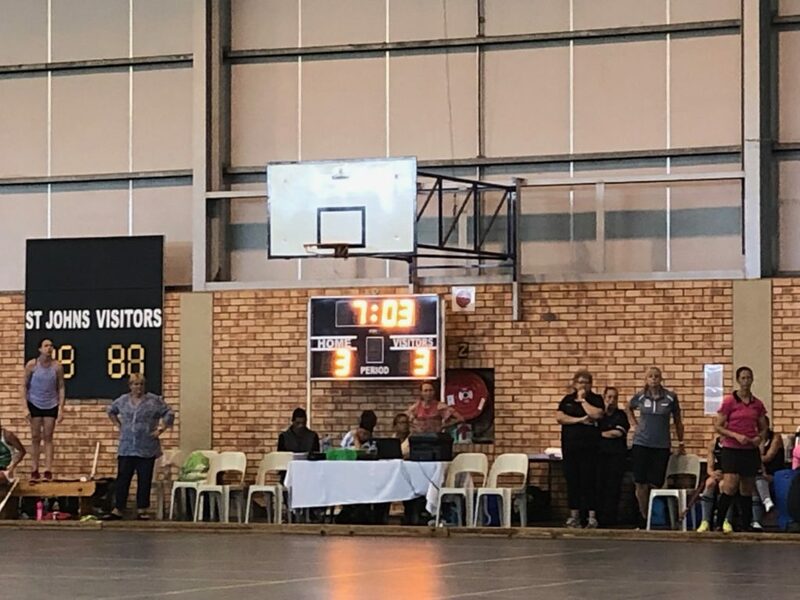 The match went to shootouts and after Jarryd Jones fired wide all others scored giving Namibia a historic win that ends 12 years of either Inland or KZN Raiders winning the men’s Indoor IPT.